To say that I have been anxiously awaiting this book is a severe understatement. I have loved every word that Mia Sheridan has penned and she is one of my go to authors. Archer’s Voice still remains my top read of 2014 so far so I had high expectations for this one. I have to say that this was a killer prologue from Mia Sheridan, from the first till last word it pulls you in and your brain is jump started into overdrive trying to piece together what could have possibly happened. But no matter what scenarios you churn over, nothing will prepare you for the true story behind it and it is after this we jump back in time and the whole harrowing story comes to life. As you can ascertain from the prologue, this is no “normal” read from Mia Sheridan, this book is set in a community that is totally isolated from modern day America, no conveniences, no electricity, no plumbing, nothing. They have a leader that takes his direction from the “Gods” and uses this knowledge on how he can keep their community thriving. With prophecies from the Gods determining his every move the community are like the rats following the Pied Piper, but will this story have a similar ending? Calder is known as the “water boy,” it is his job to provide the water to the community, he is intelligent, articulate and a very talented artist. He lives for his family, his parents and his sister and his loyalty to them holds no end. Calder and Eden first meet as children, Eden is brought onto the compound by the “leader,” Eden is apparently the woman in one of their most important prophecies, she is the woman that will save them, she bears the mark. At this point in time Eden is only a child, but the Gods have foretold of her coupling with the leader and their marriage is predestined once she comes of age. Eden is kept away from the workers and is confined to the leader’s premises, but as time progresses Eden has ways of getting the fresh air and the little piece of freedom that she craves and it is here that she meets Calder. This meeting is the beginning of one of the most beautiful love stories that I have ever had the fortune to read about. 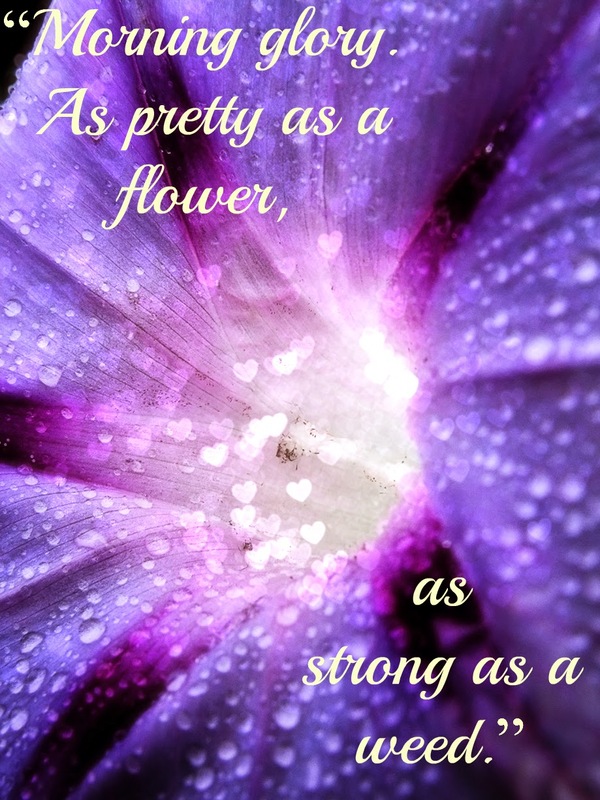 Stunningly beautiful, pure and built on friendship. The one problem that these two have is her betrothal to the leader, she has to marry him to save the community, so this is a forbidden love of epic proportions. I must admit, this was quite hard for me, I mean; he was old enough to be her dad, even her grandfather, so my heart was totally torn for Eden. She didn’t love him at all, he already had his wives, why on earth would he deem he needed another? Even if the “Gods” foretold it. This is one book that seriously makes you think. That people can live their lives, dictated to by one person that rules based on prophecy, no logical rhyme or reason, no facts to base their actions, just the word of one person who claims to have been directed by the “Gods.” I must admit, I do see it as a type of brain washing because these people are adults, they should be able to see through it and also see the many contradictions that are blatantly apparent. They live in tiny huts, no amenities, no toilets, nothing, while the leader and his board of cronies live in the lap of luxury. You do read about the odd person that finally wises up and starts to question the leader but these people are swiftly dealt with and extricated from the community. But back to the love story, this story is told over years and years, we are privy to a lot of firsts with these two, both so innocent as children, the change in feelings and emotions as they become adolescents and then the fierce, all consuming, passionate nature of their relationship as they mature to adults. These two are soul mates, perfectly matched, the ying to the yang. They complete each other, they complement each other, they bring out the best in each other, and these two are perfect together. The relationship they have lived has been clandestine in nature but what little time they do share is intense, powerful, emotional, beautiful and ardent. 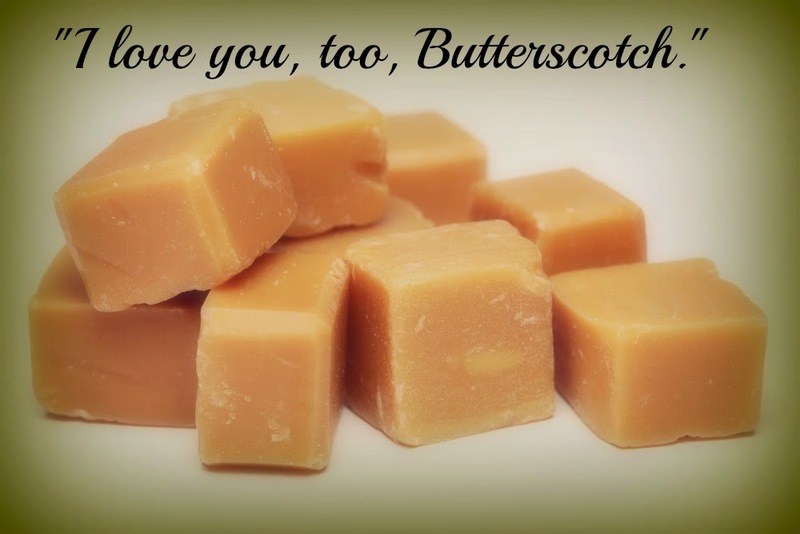 It is the beautifully crafted words that draw you into their story. Mia Sheridan is naturally talented with that knack of pulling you in until you are overtaken by the plot and are living and breathing the lives of the characters within. I felt a bit like “big brother” watching this story unfold, but no matter the “car crash” you couldn’t help but carry on reading, no matter how gut churning the story got. These two have a lot of uphill battles to contend with, their inherent need to escape being top priority, but with no real names, no social security, and no experience with the outside world where do they begin? You cannot help but feel sorry for them and you want to fight for them throughout. So why not a 5 star? I have to be honest and say the first 40% of this book did not hold my attention which is unheard of for a Mia Sheridan read for me. The prologue pulled me in, hook, line and sinker, but as the flashback began, I got lost for a while. I persevered though as this is Mia Sheridan and I knew that I would be in for a treat and she did not disappoint, after that 40 odd percent mark I was gone, totally and utterly engrossed and I could not put the book down. 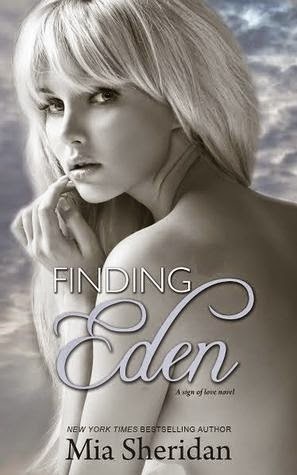 I am glad that Mia decided to release Finding Eden simultaneously, because this book would have been killer without it. I urge you to download both together, because once you start this epic love story, you will not be able to stop until the end. 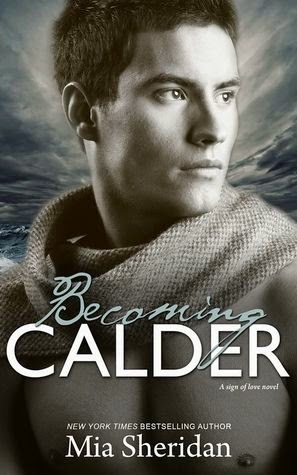 Please note you must have read Becoming Calder first! These two books go hand in hand and Finding Eden is a continuation of Becoming Calder. I really don’t know where to begin with this review. I have to admit that this was one super emotional roller coaster of a journey. The unmistakable talent of Mia Sheridan comes shining through in this book. This series is like a piece of art, the effort and precision, the love and thought, the colours blending together to put together a masterpiece. The brilliant penmanship glaringly apparent so that when you are reading, it is not just words, it is an experience. You live and breathe it, like morning glory, it overtakes you. I have to be careful what I write in this review as both books are being released simultaneously and I do not want to take anything away from this breath taking journey that Mia Sheridan expertly takes you on. This book focuses on life outside of the compound, dealing with the aftermath of events in Becoming Calder and is a life journey all of its own. It pains me, but I have to leave this short and vague because I have so much I want to say. This book is extremely emotional in places; I was in tears at several points in this book, even in the beginning. There is one scene that will stay with me for a very long time. It ripped me to shreds, the heart felt emotion that went into this scene was off the charts, I lived it and breathed it, I felt EVERYTHING, my heart hurt, my head throbbed and eyes were a puffy mess, but Mia Sheridan delivered. 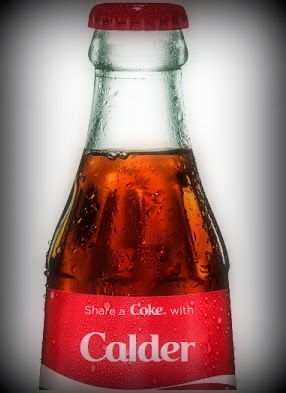 I just became so emotionally invested in this series, I just couldn’t help it. Calder and Eden became my friends and I was just an innocent bystander watching their voyage through life. When they hurt, I hurt; it really was just one of those types of books. This book though is perfectly balanced, yes it is emotional, yes it is angsty, but it is smattered with humour and some laugh out loud moments. I had tears but I also had a lot of smiles, this book is heart-warming. It makes you believe in true love, in soul mates, in destiny. If two people are truly destined to be together, love will find a way to make it happen. Even if that journey is tragic and difficult, if it was meant to be, it will happen. That is what this series is all about though, a journey, difficult as it was and with many bumps in the road and curve balls thrown from all angles, these two are survivors, they are so strong together and even apart, there was always that wavering belief that someday, just maybe someday there was a way for them to be together even if it meant reunited in death. So strong were their feelings for one another, one could not really live without the other. Yes they were alive, but it was merely an existence, they didn’t LIVE. The story flowed beautifully, the characters remained true to themselves, questions were answered, the plot delivered and was executed flawlessly. The timeline was believable and in fact I think added to the story. This series as a whole will be in my top reads of 2014, I would recommend it to everybody and I will say it will be a series that will stay with you for days, I found myself thinking about it randomly, the characters, their lives, what they went through, how they ended up. It pulls at your heart strings and once they are in there, they are not leaving in a hurry.